February 21, 2017 With 987 exhibitors from 40 countries, about five percent more exhibitors have participated in the trade show this year. Likewise, the number of trade visitors has risen by five percent to 27,500. 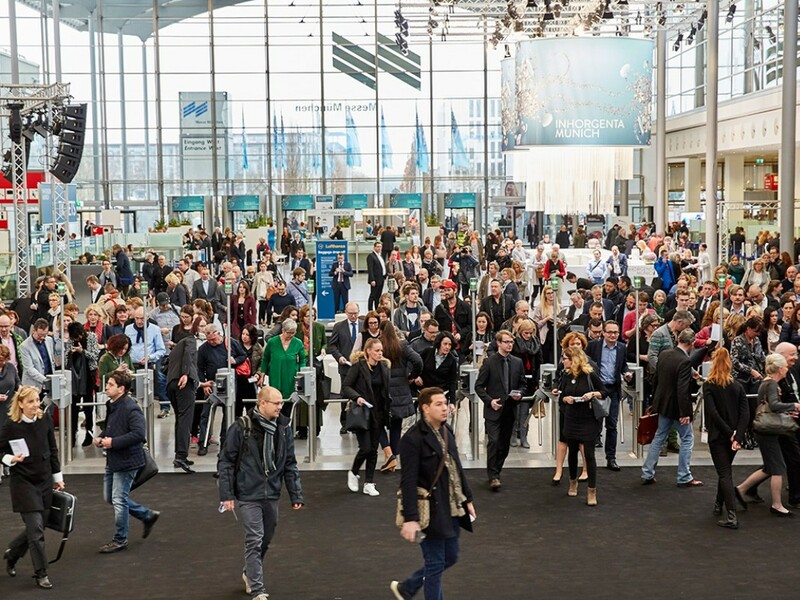 For four days, INHORGENTA MUNICH 2017 has been the international meeting place of the jewelry and watch industry. About 27,500 trade visitors from over 70 countries were in Munich from February 18 to 21—these are five percent more than in 2016. As a highlight, the INHORGENTA AWARD celebrated its successful premiere. The international order and communication platform for the jewelry and watch industry is growing. This can be proven in two respects at once. With 987 exhibitors from 40 countries, about five percent more exhibitors have participated in the trade show this year. Likewise, the number of trade visitors has risen by five percent to 27,500. The positive conclusion for this year's edition has also prevailed among the exhibitors. "INHORGENTA MUNICH is the ideal kick-off into the new business year for us—the event enjoys high priority within our company“, states Matthias Stotz, Managing Director of Junghans. And Jörg Gellner, CEO of the jewelry manufacturer of the same name finds: "As a platform for professional exchange, inspiration and personal interaction, INHORGENTA MUNICH is an important annual milestone for us. We look forward to participating next year again." Alexander Kuster, Leonardo Sales Management, was equally satisfied: "We regard our return to INHORGENTA MUNICH—after a short timeout—as the absolutely right decision, which is proven by the very good feedback we have received from our customers." The premiere of the new INHORGENTA AWARD has been highly successful. The prize was presented at a grand gala before more than 450 invited guests at the Postpalast München. Anja Heiden, (management member of Wempe), Gisbert Brunner (watch expert), Prof. Christine Lüdeke (Pforzheim University of Applied Sciences), Julia Katharina Hettich (journalist), the two top models Franziska Knuppe and Shermine Shahrivar as well as the fashion designer Michael Michalsky. The star designer, who had come directly from Los Angeles from the shootings for Heidi Klum's "Germany's Next Top Model", said: "I do not only find this award great, but also long overdue. This industry indeed deserves such an accolade." In total, more than 100 high-quality applications had been received so that the jury did not exactly find it easy to decide on the winners. The jewelry shows, at which models presented selected jewelry of the exhibitors on the catwalk, equally stirred up enthusiasm. On the first day of the trade show, they started with a fantastic opening before fully occupied seat rows. However, INHORGENTA MUNICH 2017 also offered abundant input for daily business in the jewelry and watch sector. This was guaranteed by the attractive Seminar Program, one of the focal points of which was digitalization. As a highlight, Jeremy Abbett, Google evangelist over many years, gave a lecture on the "Store of the future". Towards the end of the trade show, young professionals had the opportunity to become more closely acquainted with the industry through interesting workshops and lectures, and to get directly in touch with experts. The award ceremony for the "Golden Balance Wheel", in which INHORGENTA MUNICH participates for the first time as a partner, takes place at the closing of the trade show on the evening of February 21. For nearly two decades, the readers of Uhren-Magazin, Watchtime.net, Focus and Focus Online have selected "the "world's best watches" annually. Next year, INHORGENTA MUNICH will return to its usual rhythm from Friday to Monday. It will be held from February 16 to 19, 2018. Messe CEO Klaus Dittrich looks ahead with optimism: "INHORGENTA MUNICH has shown the potential of this industry. I am convinced that this year's event will provide the jewelry and watch sector with vital growth impulses and thus ultimately breathes life into our claim: "Individual, Inspiring, Innovative."